“Voyage” is Irish artist Liz Doyle's first solo exhibition in Bridgehampton, NY. The exhibition will feature the Liz Doyle's recent paintings. The artist will be present at the opening reception on Saturday, Oct. 20. We are pleased to be featuring a solo exhibition, Voyage, of Liz Doyle’s paintings in our Bridgehampton gallery this October through November. Hailing from a small island off the coast of County Donegal in the North West of Ireland, the artist notes how the horizon is a constant presence in her life. A traveler throughout her childhood and adulthood, Doyle was born in Germany, lived in Nepal as a child and has lived in various locations within both England and Wales. She has resided in Ireland for 11 years. 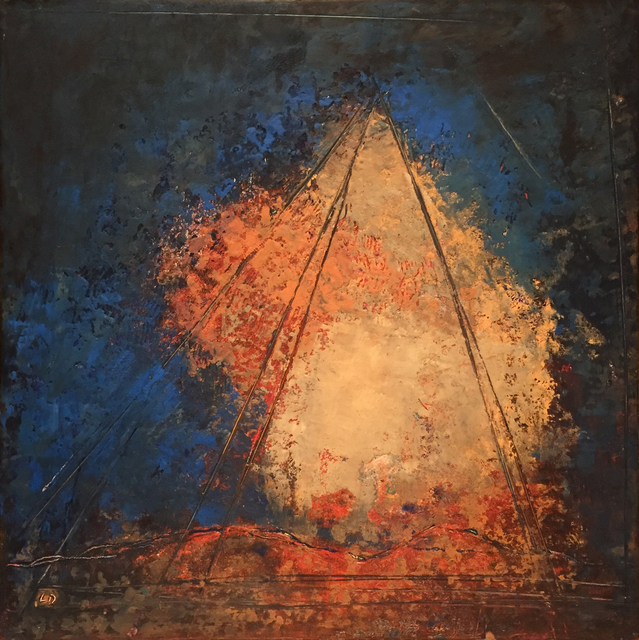 Voyage brings Doyle’s recent paintings, majority of them produced in the last year, to MBFA’s eastern Long Island gallery. Color and light are the foundation behind Liz Doyle’s bold yet transient paintings. Her works are focused meditations that challenge what is seen and unseen and how one’s surroundings affect an artist’s vision. 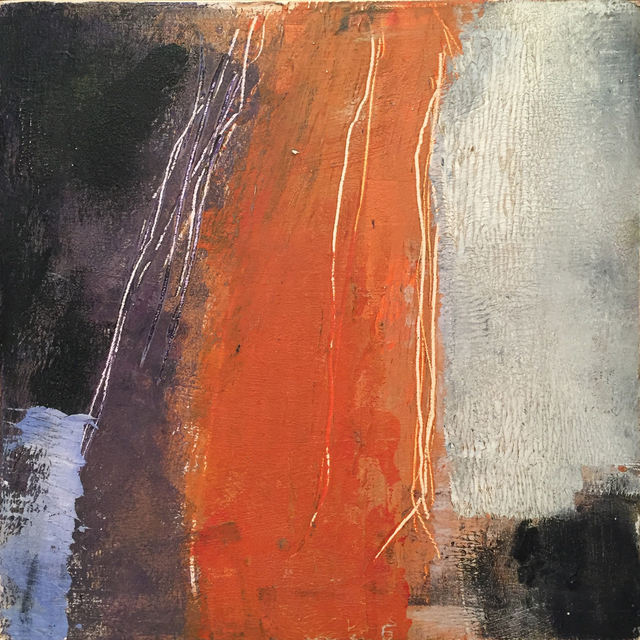 The atmospheric light conditions rendered through wax paper paint application contrast with the bold textural scrape lines on the surface of the paintings. These lines, often appearing as scratches, take on triangular shapes and break through the surface of the two-dimensional picture plane offering another dimension. Their presence in the works emit a force, providing a grounding element as though tethering sails to a ship, or flaps on a tent to the ground. The lines are a constant reminder of our connection to the earth. Existing in the realm of metaphor the paintings illicit moments of personal motif and signage. They reference maps and mountains, both ways to trace one’s bearings, as would be needed during a journey travelling by sea or space, such as the exhibition’s title describes. While the work is informed by the artist’s surroundings at her time of making, they emit a sense of water and land. This is perhaps a byproduct of daily visualization of what is on the artist’s mind or in her sight. Doyle relates the tethering lines to having a directional element—something that moves from point A to B. She relates this imagery in her paintings, to being able to see the mountains on the skyline from her studio and how they ground her in knowing where she is and when she is. 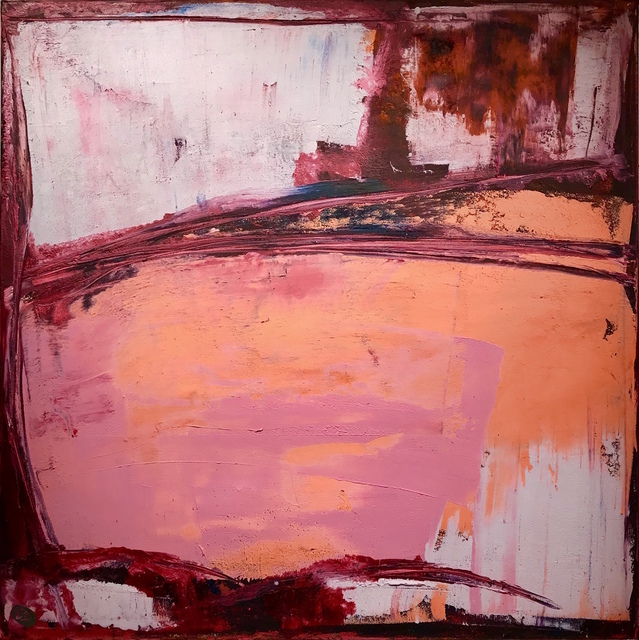 These references between what is seen, felt and explored with a focus on painting itself give homage to artists such as Joan Mitchell and Robert Motherwell. The edges of forms in the paintings become either soft or transient in their color or gain a clarity from hard line. The works feel humbling, as they do not hesitate to emerge into being.